My friends on Instagram have seen a lot of activity lately over one new little friend... a fuzzy little yeti named "Kimchi." Kimchi was one of those creations you whip up "just cause," but he quickly got lots of love from fellow Instagrammers. 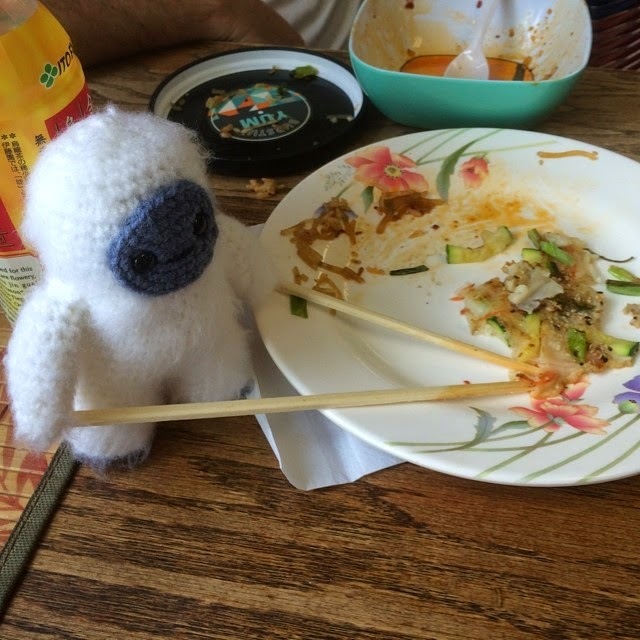 The Little Miss (who quickly yeti-napped Kimchi) thought that everyone should be able to have their own little yetis if they want one, so I set to work on a pattern. And... after quite a bit of trial and error -- the pattern is finally ready! My new yeti pattern is designed for sport weight yarn and an E hook. It also uses a pet slicker brush to get that fluffy fur look (don't worry, I walk you through how to do it in the pattern. 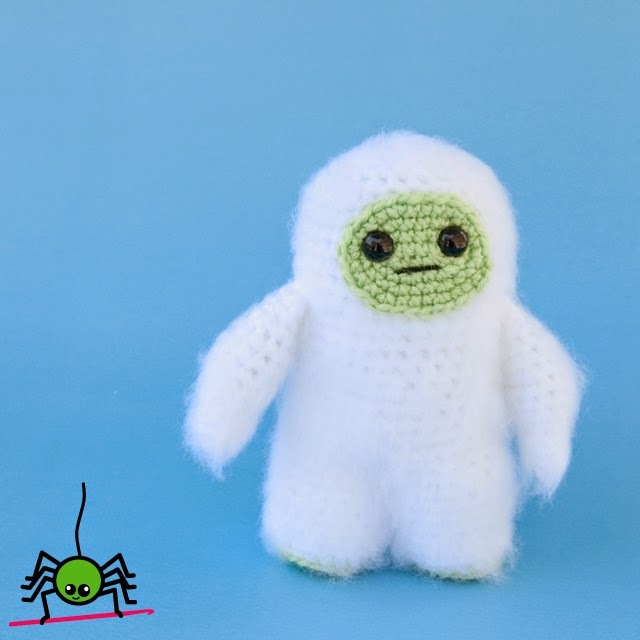 You can get your own copy of the yeti pattern through all the usual sources (Ravelry, Etsy, and Craftsy) or get all the details right here on my web site -- and start hooking on your own fuzzy little abominable monster today. In fact, you might want to make two -- these little guys are so cute, they have a way of being yeti-napped right out from under your nose!